Easter is around the corner! In Christendom Easter begins with Palm Sunday and culminates in weekend commemorations of Good Friday, Easter Saturday, Easter Sunday, and in some countries Easter Monday. In Nigeria, Easter celebrations for some means travelling to the village, going to church, joining family or friends for a meal, or visiting beaches, amusement parks or other recreation centres. But across the world, different cultures have their own unique Easter celebrations. Check out these interesting Easter traditions from around the globe. In 1991, Rabbit-Free Australia launched a campaign to replace the Easter bunny with the Easter bilby or rabbit-eared bandicoot. On Easter Monday, boys try to drench other people with buckets of water, squirt guns or anything they can find. On Easter Monday in the town of Haux, a giant omelette made from 4,500 eggs is served up in the town’s main square. On Easter Saturday in the town of Corfu, people throw pots, pans, and other earthenware out of their windows, smashing them on the street. For over 130 years in Washington DC, the President hosts the annual Easter Egg Roll on the White House South Lawn on Easter Monday. In Jerusalem, Christians celebrate Good Friday by walking the same path Jesus did on the day he died. Bermudians celebrate Good Friday by flying home-made kites, eating codfish cakes, and eating hot cross buns. Many communities in England have Easter performances of Morris dancing, a traditional type of folk dance dating back to the Middle Ages. Young men consider it an honour to be chosen to play Jesus. And be tied to the cross in various locations. They have egg fights – and whoever comes out of the game with an unbroken egg is the winner and assumed to be the most successful member of the family in the coming year. The Bavarian village of Oberammergau is famous for its Passion Play, an exceptional performance which depicts Christ’s trial and death. In Vatican City on Easter Sunday, the Pope himself conducts Mass from the balcony of St. Peter’s Basilica. They watch grass grow to signify the start of Spring. 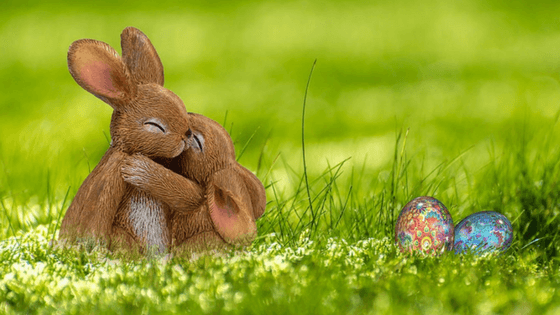 After the green grass has finished growing to maturity, children will decorate it with painted eggs and paper bunnies to mean a time of fertility in the country. Everything is closed down for the entire week of Easter, with the only exception being the grocery stores opening on previous Saturday before. You don’t go to work, your kids don’t go to school, you don’t cash your checks, and you don’t go to the grocery store to stock up on food. What fascinating Easter traditions do you observe in your village, city or country? Let us know in the comments. I have been trying to reach you ma’am. Called all 3 numbers and even went to Alake-Onile Street. Kindly contact me as soon as you read this please. Hi Mrs Magulike, thanks for your comment. We’ll contact you shortly.